The Assimilation System Management Suite consists of four seamlessly integrated products based on a highly-scalable platform requiring near-zero configuration. 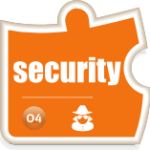 The suite is based on top of an automatically generated, always-up-to-date CMDB which in turn provides the integration for the monitoring, security and network management capabilities, giving you X-Ray Vision into your infrastructure, services and interrelationships. 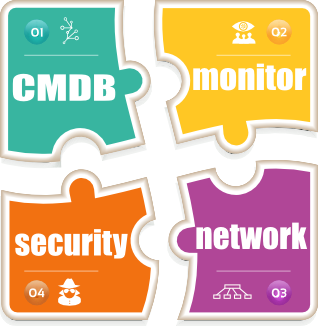 The Assimilation-CMDB acts as your single source of truth, providing a comprehensive, always-up-to-date graph database (CMDB) of all your systems, services, switch connections, dependencies, configuration and settings through discovery that won’t set off network security alarms. Easily extensible by your administration staff. 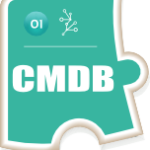 Assimilation-CMDB is our base product and is the basis for seamless integration of all the products in the suite. 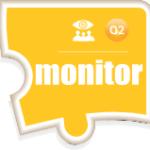 The Assimilation-Monitor automatically monitors systems and services for correct operation as they are created, scaling far beyond competitive products. It is easily extensible by your administration staff. It is seamlessly integrated with the Assimilation CMDB for and near-zero configuration and simplified management. Assimilation-Cybersecurity discovers identities of all services, and every active IP and MAC address, automatically updates checksums of network-facing software, and performs other security-related functions. It is seamlessly integrated with Assimilation CMDB for near-zero configuration and simplified management. Assimilation-Network collects settings of NICs on both hosts and switches for easy consistency checks. Creates and keeps up-to-date host<->switch connection map. It is seamlessly integrated with the Assimilation CMDB for near-zero configuration and simplified management. Our products are driven from our continuously-updated CMDB, are seamlessly integrated, and require near-zero configuration. This actively reduces complexity in your environment, and at the same time helps you manage the complexity we can’t reduce by giving you X-Ray vision into your environment. Our suite helps you manage risk, improve your IT visibility, awareness, agility and operational reflexes. We are dedicated to delivering to the bottom line of improving the business value of your IT investment. We provide a scalable discovery-driven IT automation platform – allowing you keep an up-to-date configuration management database – automating tasks and alerting you based on changes in the configuration, topology and status of your infrastructure. 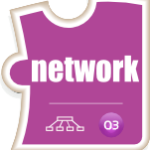 The discovery information goes into a Neo4j graph database where it is all available for query and reporting. Graph representations provide unmatched opportunities for visualization and deep insight. Our technology scales like nothing else. It does this by distributing almost all the work to agents on every server using a unique and highly reliable no-news-is-good-news protocol. This protocol is key to our scalability. This means that we can rely on our agents to monitor servers and perform discovery remotely, and only need to react to changes – whether they be changes in discovery information, servers or services that have gone down, or come up. This increases the effective capacity of the system by orders of magnitude. Because of this, if you have a few minutes when nothing is coming up, going down or changing configuration, then during that time the central system has to do nothing at all. Doing nothing scales really well. The Assimilation System Management Suite addresses key needs of medium, large, and mega-scale IT shops. Our products are seamlessly integrated and scale far past our competitors. Whether you’re a big believer in ITIL and ITSM, more of a DevOps type of shop, or trying to figure out which way to go, the capabilities we provide will inform and improve your system management, reducing errors and costs, while uniting your staff around a single view of the world.